LaGrange's Angela Divenere celebrated her 105th birthday. 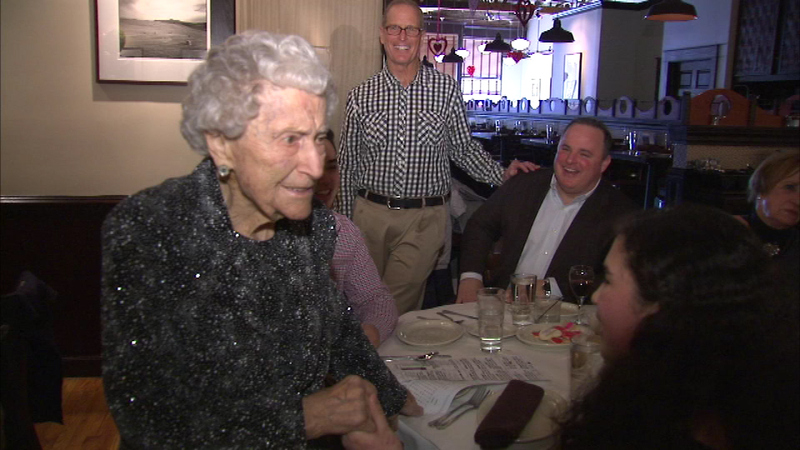 LAGRANGE, Ill. -- A west suburban woman celebrated a big birthday Saturday when LaGrange's Angela Divenere turned 105 years old. Divenere celebrated with her family by having lunch Saturday afternoon at Francesca's Bellezza, followed by birthday cake her family had decorated especially for her. She then toasted her big birthday milestone.